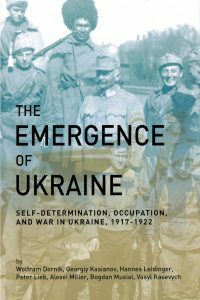 This book is a collection of articles by several prominent historians from Austria, Germany, Poland, Ukraine, and Russia who undertook a detailed study of the formation of the independent Ukrainian state in 1918 and, in particular, of the occupation of Ukraine by the Central Powers in the final year of the First World War. A slightly condensed version of the German-language Die Ukraine zwischen Selbstbestimmung und Fremdherrschaft 1917–1922 (Graz, 2011), this book provides, on the one hand, a systematic outline of events in Ukraine during one of the most complex periods of twentieth-century European history, when the Austro-Hungarian and Russian empires collapsed at the end of the Great War and new independent nation-states emerged in Central and Eastern Europe. On the other hand, several chapters of this book provide detailed studies of specific aspects of the occupation of Ukraine by German and Austro-Hungarian troops following the Treaty of Brest-Litovsk, signed on 9 February 1918 between the Central Powers and the Ukrainian People’s Republic. For the first time, these chapters offer English-speaking readers a wealth of hitherto unknown historical information based on thorough research and evaluation of documents from military archives in Vienna, Freiburg, Berlin, Munich, and Stuttgart. 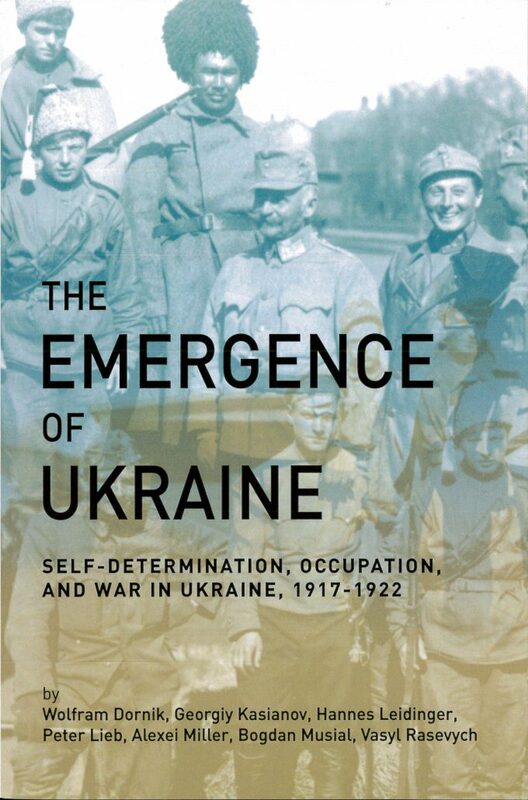 The first section of the book deals with military aspects of the German and Austro-Hungarian conquest of Ukraine in 1918, the suppression of uprisings, occupation, and retreat; it also discusses the administration of occupied territory, the economic utilization of the country, the occupying powers’ relations with the Ukrainian government, and the internal Ukrainian perspective on the occupation. The second section details developments in Ukraine between 1917 and 1922. The third section deals with the Central Powers’ policies toward Eastern Europe in general and Ukraine in particular, while the fourth and final section is an analysis of the international context of Ukraine’s efforts to establish a state during this period. This book is an essential resource for anyone interested in the history of the First World War and the modern history of Central and Eastern Europe. Das Buch ist über das Fedora-Portal des FWF auch online als PDF zugänglich. Slavonic and East European Review, Vol. 94, No. 3.